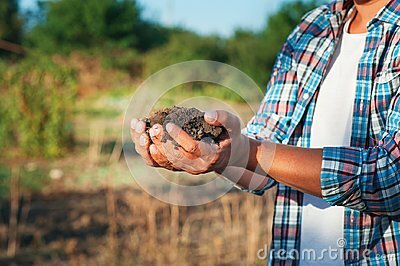 Man farmer holding young plant in hands against spring background. Earth day Ecology concept. Close up selective focus on Person hands with green sprout. Spring, nature, eco and care.